Ralf 'Sono Rhizmo' Droesemeyer travels with the spirit of the beat generation and the heart of the bohemian jazzmen. Hipness is not a state of mind but a fact of life, he says. Call him a modern beatnik, this man is trout fishing all around the globe. On the first compilation for his own Agogo Records label Sono Rhizmo collected fi fteen tracks from as many countries he has travelled during the past few months. What we hear is a mix of conscious global beats, social soul and true rhythms, never overtly political but always aware of local matters and global changes. 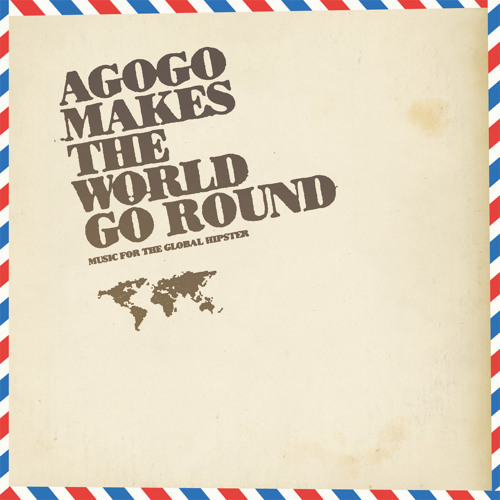 „Agogo Makes The World Go Round“ is a statement of independence, a plea to dig deeper beyond the surface.